The hot and corrosive hot spot has been “been sneaking up on the park for the last 20 years,” he told the New York Times. 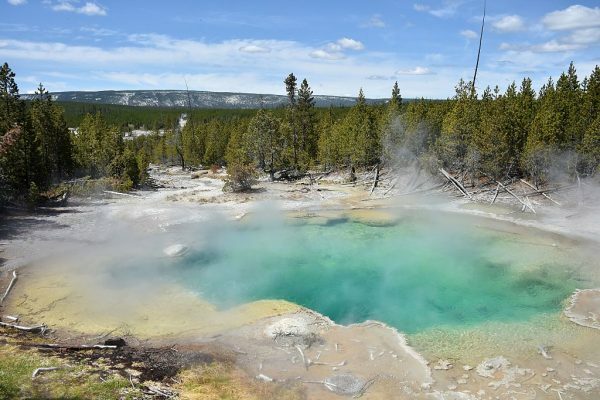 “These sorts of changes are part of the normal life cycles of thermal areas in Yellowstone National Park,” it added in a blog post earlier this month. More than 10,000 thermal features are located within the park. According to the public broadcaster’s report, one day, Vaughan saw a hot spot that hadn’t appeared before. He then compared it with previous images. 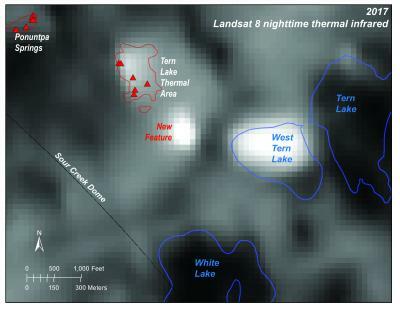 These thermal areas, Vaughan said, are formed after snow and water is heated by magma below the surface of the ground, the report noted. 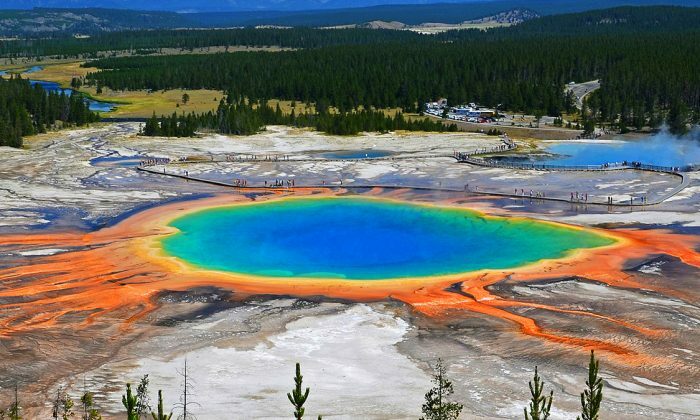 The water or snow then travels back to the surface via cracks and fractures, according to the researcher, who added that hot springs and geysers are signs of a thermal area. “It’s doing everything you expect an active volcano to do except erupt,” he told the Times. In the case of the emergence of this recent thermal feature, in 2017, the trees died and the soil turned an unusual, off-white color, he told the Times. In 1994, that wasn’t the case. 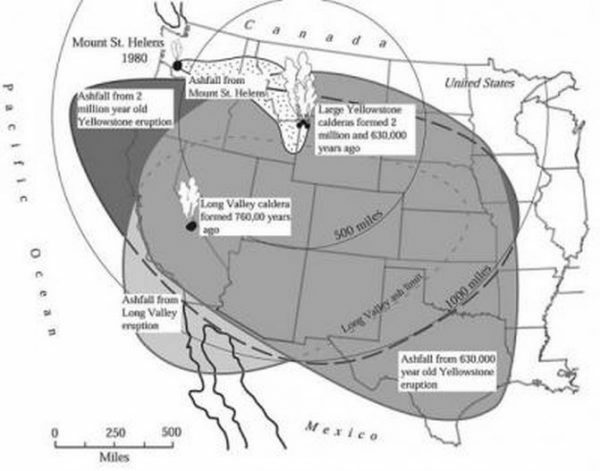 In 2003, a thermal area appeared in Yellowstone about the size of a football field. 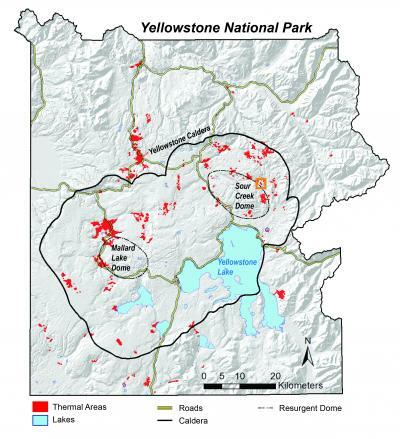 Michael Poland, the researcher in charge of the Yellowstone Volcano Observatory, has often had to debunk articles saying the Yellowstone caldera, or “supervolcano,” is about to erupt. 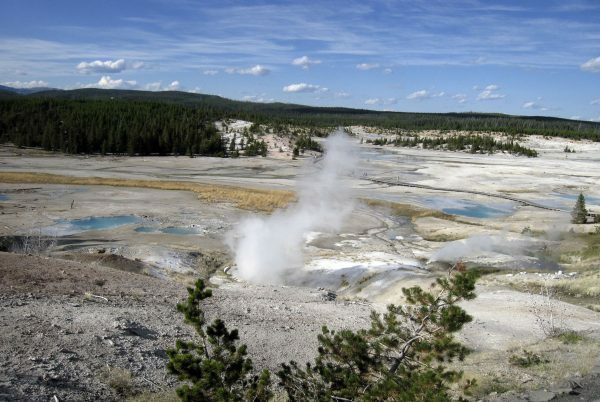 He told the newspaper that the appearance of a new thermal area isn’t something to worry about, noting that thermal areas appear and disappear in the park.